Enter the black stars. 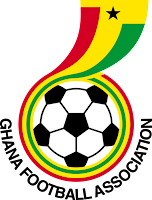 Long-regarded as one of Africa's best sources of soccer players, Ghana went largely unnoticed until 1992, when the Olympic team won its first medal. The senior team would have to wait until 2006 to enter the world soccer scene. 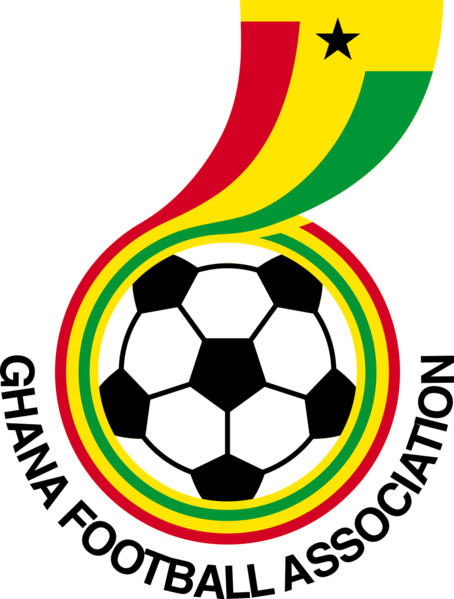 Ghana did, however, win the Africa cup of Nations on four different occasions (1963, 1965, 1978, 1982). As far as memories, they are few and far between. I remember liking their style in 2006, especially when it came to their game against the Czech Republic. They would erase the Czech's 3-goal advantage won over the USA and bring it to just 1. Ghana had lost to eventual-champions Italy in the first game. The last group game was against the United States...and what a game that was. Unluckily, however, I was in Venice at the moment and none of the channels carried the game. If I had gone looking for a place to watch it outside of my hotel I would have probably missed most of it anyway. I resorted to looking at scorelines while I watched other games. The Americans had been down 1-0 before Dempsey scored the tying goal. Ghana would score again to see them through to the round of 16. There, they met Brazil and were quickly dispatched in a goleada thanks to Adriano, Ronaldo and Ze Roberto. What's next for the Black Stars? Serbia, Australia and Germany. This group is more evenly matched than you might think. Germany's loss of Ballack brings them down a notch. Serbia is a contender but haven't been as dominant for a few tournaments now. Australia is just as dangerous, having players like Cahill and Schwarzer. This group flirts with soccer common sense and we just can't say for sure who will be victorious. 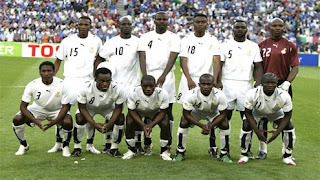 This Ghana side, however, is diminished compared to 2006. There will be no Michael Essien--but never fear... you still have Muntari (Inter), Gyan (Rennes), Derek Boateng (Getafe), Mensah (Lyon). Curiously, Kevin-Prince Boateng has a brother Jerome plays for Germany, but will not be in the tournament. 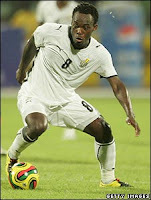 Kevin-Prince has dual citizenship but after not seeing action with the German squad, decided to switch back to Ghana. Oh, he's also the reason Ballack will not play in South Africa. This is a tough group for them and, as a Ghanean colleague of mine said, "this team can't go far." We shall see.